Fig. 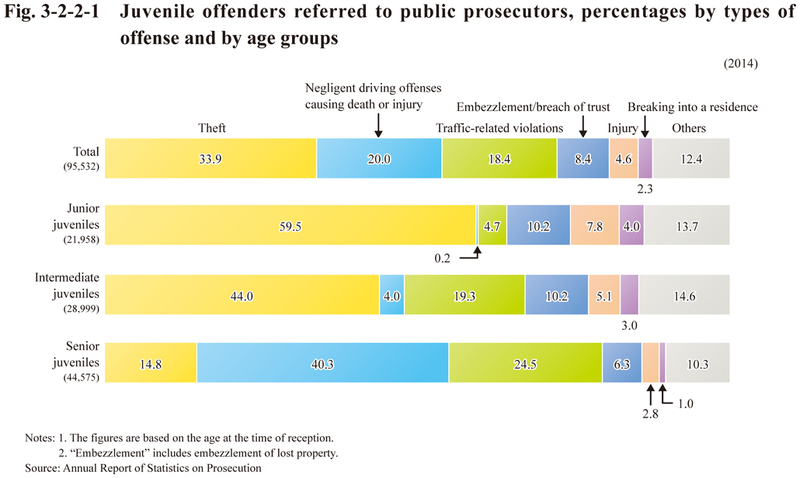 3-2-2-1 shows the percentages of juvenile offenders newly referred to public prosecutors by types of offense and by age groups. Public prosecutors may offer an opinion on the disposition they consider the most appropriate when they refer a juvenile case to a family court. 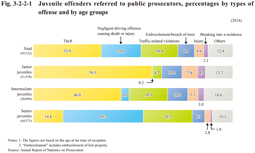 See Appendix 3-8 for the opinions of public prosecutors on the dispositions of juveniles.